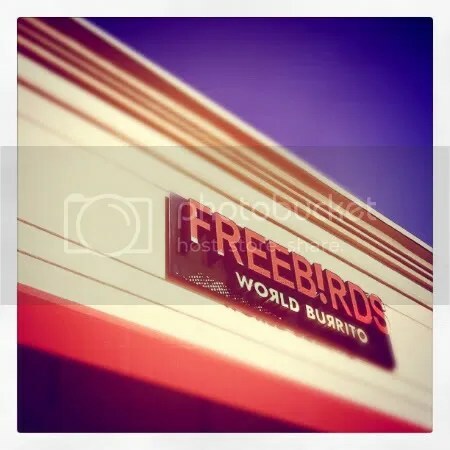 Stephen & I’s first date was at freebirds. Well, we were set up on a “group date” of sorts in the fall of 2004 in College Station. After a night of fun with friends, no one was up the next day to hang out. Except Stephen & I. So he asked me to go to lunch. 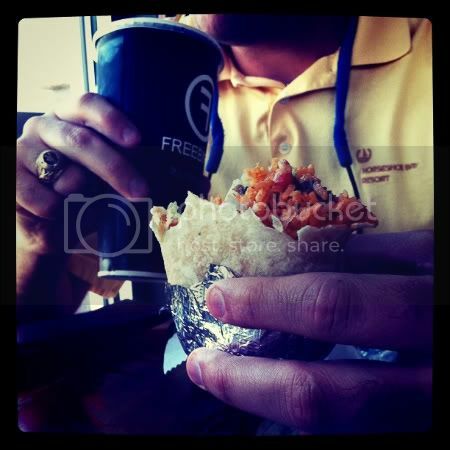 We went to Freebirds – a College Station staple. I called him Steve, he finally told me he didn’t like that. He got my number on a napkin. He called me later that night. The rest is history. Probably got the same thing 7 years ago. So sweet! I love that y’all were able to recreate your first date 7years later. 🙂 I love reading your blog! Romantic … still wishing it was Chipotle.